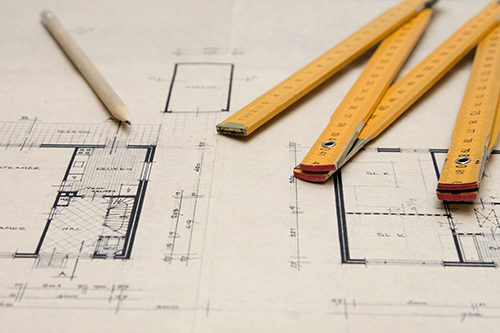 What is the Bachelor of Architecture (Hons)? It is a 5 year honours degree course, designed in accordance with national and international guidelines on architectural education. It has received full accreditation by the Royal Institute of Architects of Ireland (RIAI). Architectural education at WIT is primarily about developing within each student a ‘design mind’ so that they can bring together in a creative way the complex challenges facing the future world of construction. Students are introduced to design methodologies and work in a ‘learning through doing’ environment in the studio where they explore architectural designs growing in complexity as they progress through the various years. They are taught the importance of culture, climate and craft in developing design ideas. Feeding into these studio based projects are the supporting subjects grouped under the generic headings of ‘Cultural Context’, ‘Communications’, ‘Technology & the Environment’ and a suite of electives including Languages and Life Drawing which introduces students to related disciplines as well as facilitating international exchange programmes. Agreements have been signed with schools of architecture in France, Mexico and Germany facilitating exchange study programmes. Languages are taught as electives to encourage students to avail of these travel opportunities. Annual trips to European capitals take place in all stages of the course. Renzo Piano Foundation scholarship worth E10,000 with work experience in Paris or Genoa office. Urban Laboratory 6 month work placement in Genoa, Italy.